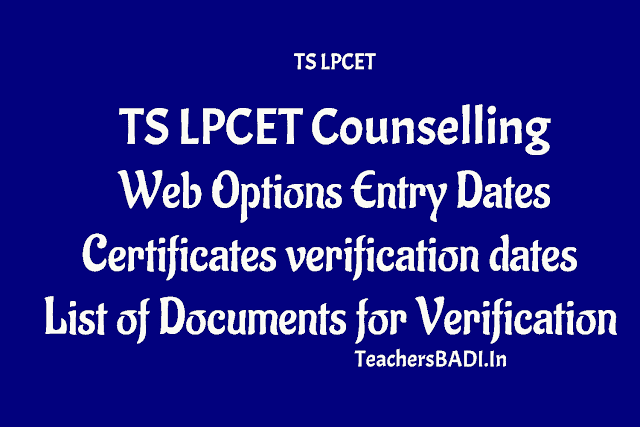 TS LPCET 2019 Counselling, Web Options entry dates, Certificates verification dates, List of Documents: List of Documents to be Produced for TS LPCET 2019 Certificates Verification: TS DSE Officials given the TS LPCET-2019 Notification for admission into one year Language Pandit Training Course (LPT) in Govt. IASEs /CTEs and Private LPT Colleges in Telangana State and invited the online applications from the eligible candidates through its official website as per its schedule for admission into HPT, TPT and UPT Courses in state for the academic year 2019-2020. Eligible candidate were applied and appeared on LPCET Exam in all Districts of the State and they were checked their results at its official website. Appeared candidates are waiting for their admissions counselling schedule. DSE Telangana would give the Web Options Schedule and Ceritficates verification schedule soon on its website. The LPCET candidates may give the web options through "Online submission of preferences through web based selection form" at http://lpcet.cdse.telangana.gov.in for admission into language pandit training courses. The admissions will be made as per the rank obtained in entrance test through web based selection of colleges. 1. 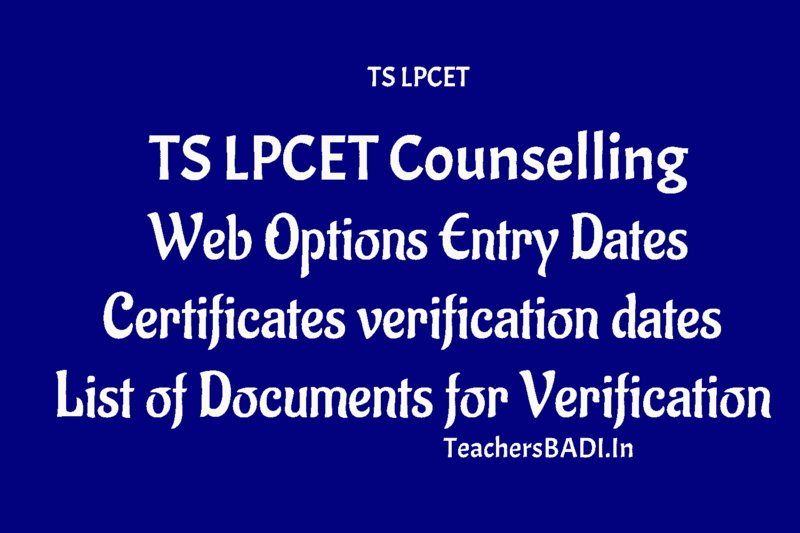 Pdf of ONLINE application of TS LPCET. Since increasingly courses are being established for almost every study MBA in UK , local students will no longer have need of wandering far and wide in the world for obtaining the quality and most first-rate postgraduate education. Dinesh gaaru, Thank you for your compliment..Keep touch with us. why still the official website is not updated?